A big special thanks to our new and long time subscribers. Are we starting to see the light at the end of this long downward spiral? On Friday gold closed at $1205 and silver at $14.77 both up strongly on the day. Even more disastrous than the decline in gold and silver has been the decline in resource shares. I continue to like and share with subscribers this long term monthly chart of the HUI – Golds Bugs Index. The chart basically speaks for its self as we approach the apex of this long term consolidation. 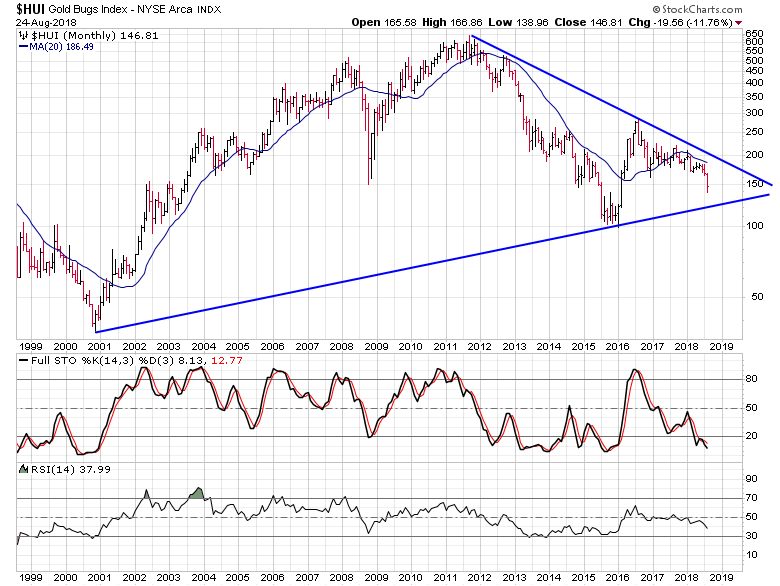 I continue to look for the upside breakout in the coming months. The question I always ask is, what are you doing now to prepare for the breakout? 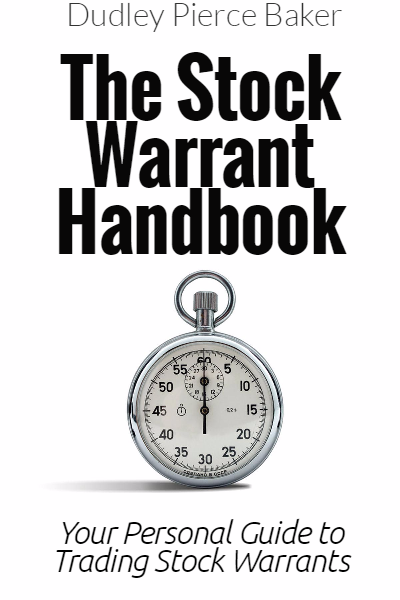 Remember that only 25% or so of my personal portfolio is in stock warrants, the balance are common shares in the junior mining companies and I am on the hunt for new additions to my portfolio. 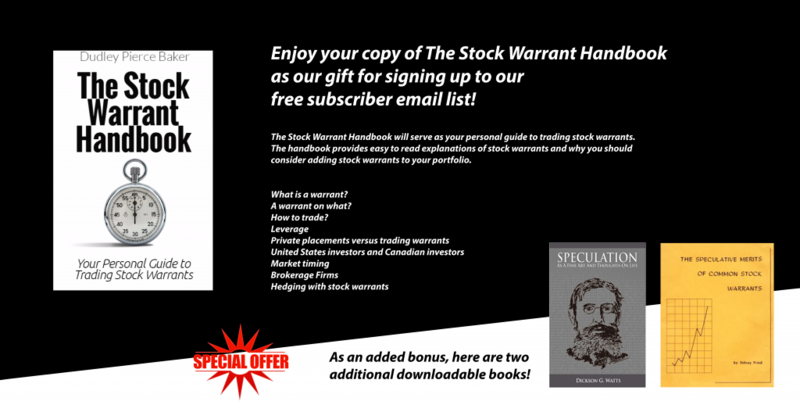 There are many interesting opportunities in stocks as well as the stock warrants available today, so if you are not a current subscriber, LET’S GET YOU STARTED NOW. The next several years, 2018 – 2020 will see some exciting times in the PM sector and I am looking to make a fortune. Do you want to follow me? Let’s have some fun and make money together.